This handbook covers a whole range of issues relating to local seed supply systems, including participatory plant breeding, and both technical and practical information on seed production and variety maintenance. It suggests new approaches and methods to support on-farm seed production by small-scale farmers in developing countries.This book is of great value and interest to people who work directly with farmers including extension agents, national and international NGOs and farmers� co-operative workers. This handbook covers a whole range of issues relating to local seed supply systems, including participatory plant breeding, and both technical and practical information on seed production and variety maintenance. It suggests new approaches and methods to support on-farm seed production by small-scale farmers in developing countries. 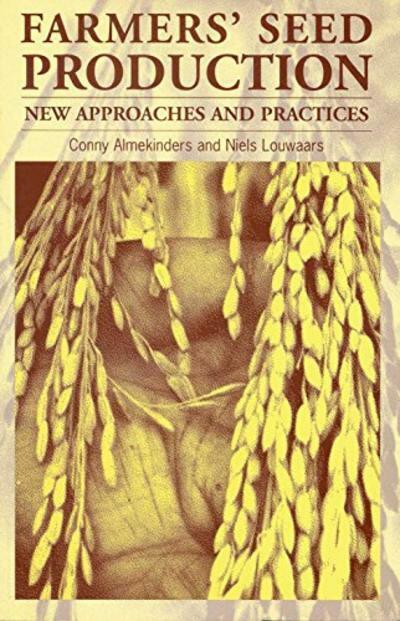 The first part of the book describes the functioning of local seed systems and discusses their strengths, limitations and possibilities for improvement. The editors discuss in detail issues of genetic diversity and in-situ conservation, farmers' rights and legislation. The cases presented here illustrate the functioning of local seed systems and experiences with improving them. The second part contains technical information on seed production, selection, storage and distribution, and various maintenance and improvement techniques for different groups of important food crops, which can be applied and implemented at the level of small-scale farming.